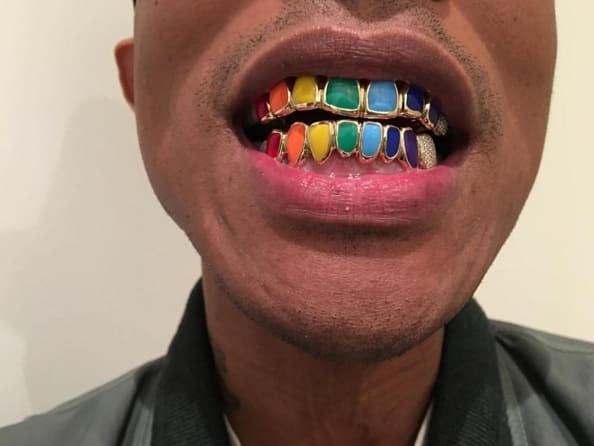 Sorry, Travi$ Scott: Pharrell&apos;s grill game is only getting stronger. Earlier tonight, the 42-year-old multi-hyphenate took to Instagram to show off his new mouth jewelry: a gold Roy G. Biv piece accented with white diamonds. So on brand. You can check out the design in the image above. La Flame might want to hit up his jeweler ASAP if he wants to stay winning.